Emma Stone was born with the full name of Emily Jean Stone on 6th November 1988 in Scottsdale Arizona, US. As I have stated before, her birth name was Emily. But she took the name Emma when she joined the Screen Actors Guild. 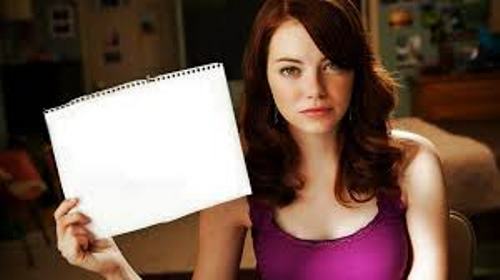 The name Emily Stone was already used. She had to differentiate herself from others by using the name Emma. However, many of her relatives, family and friends still called her Emily. The only person in the family who involves with showbiz is Emma stone. His father works as a contractor, her mother Krista is only a house wife. Emma has a bother. His name is Spencer. She is the eldest one in the family. Emma is only two years older than Spencer. Emma Stone has Swedish descent in her blood. Her grandfather came to United States through Ellis Island. She got the last name Stone after his grandmother anglicized name. Emma was not comfortable with high school experience. Thus, she wanted to have a homeschooling activity when she was young. In the age of 15 years old, she convinced her mother that she wanted to move to Los Angeles. Acting is not something new for Emma. She used to act since she was a kind. She was the member of a regional Theater in Phoenix called the Valley Youth Theater. When she was 11 years old, she was involved in the first production of The Wind in the Willows. There were 16 productions that she joined when she became the members of Valley Youth Theater. The way she convicted her parents to move to Hollywood is very surprising. She made a PowerPoint presentation in front of her parents about her being moved to Hollywood. Emma Stone is very famous with her red hair. The first director who had Emma with red hair was Judd Apatwo. The color of her hair affects her work and daily life so much. You can see her in red hair often. But sometimes she sports brunette. Are you fascinated with facts about Emma Stone?